I must admit that I’m a bit of a freak when it comes to organizing and labeling things… but, I digress. Whether you are OCD (like me) or you just need to organize some of your favorite clippings, I suggest that you create a printed, hard-copy “Look Book” to help you keep it all together. 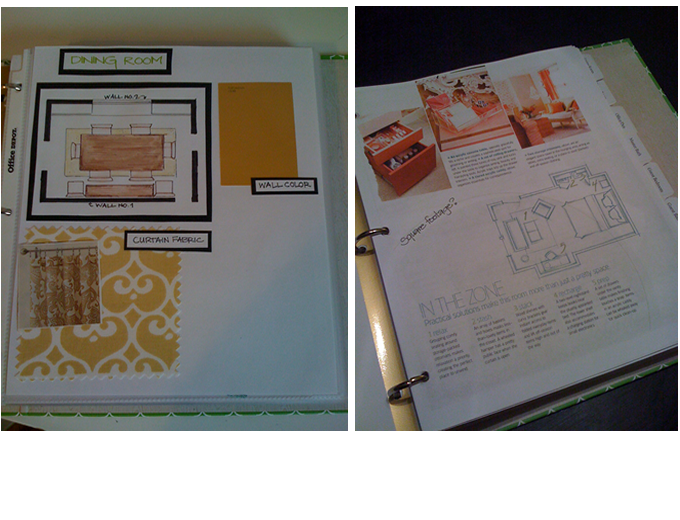 In addition to the Look Book binder, you can also use site like Pinterest or Houzz to organize online content easily. 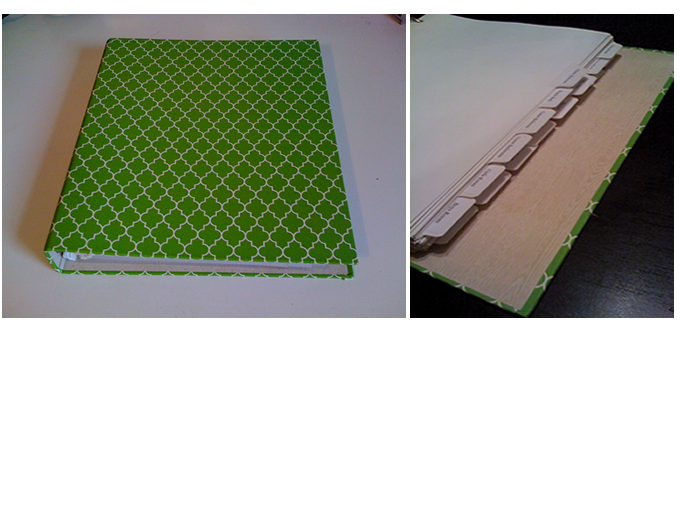 For the Look Book binder, I found a cute binder from Target and used dividers to create a section for each room of my house. I add in a budget sheet for each room, a printout of the floor plan with measurements, and cutout magazine clippings of the products I’d like to buy for each room. The budget helps me keep track of my expenses- I put a little pocket insert in the front to save my receipts. It’s really helpful with organizing my ideas…and it makes me feel less overwhelmed when I’m trying to make decisions on how to move forward. You can see some of the photos from my online “lookbooks” below. Click on the links to see my complete profiles.